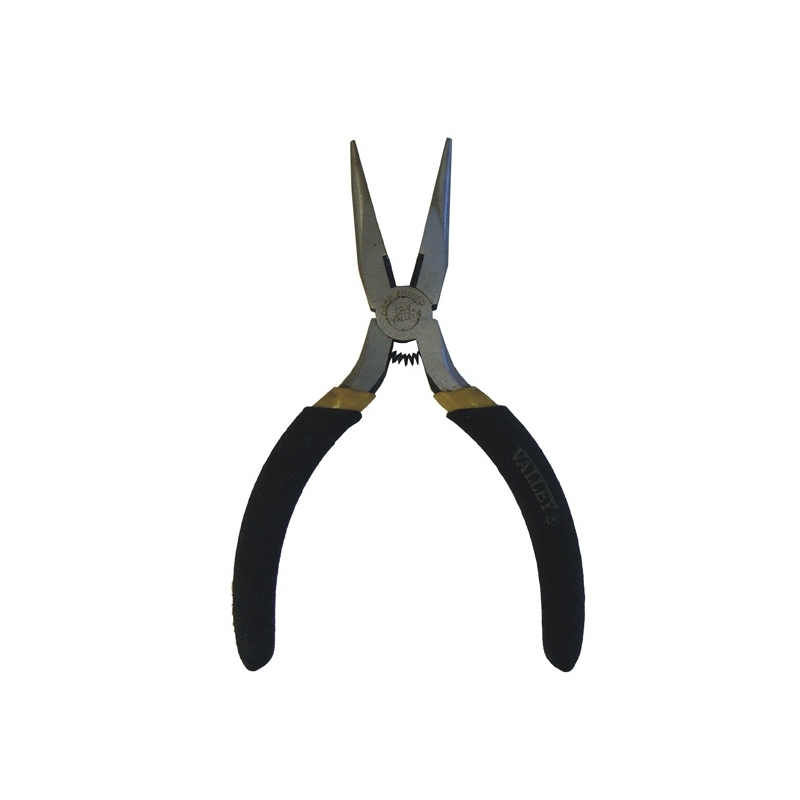 > Tools>Pliers & Cutters>Mini Long Nose Pliers, 4.5"
Mini Long Nose Pliers, 4.5"
These mini straight long-nose pliers are great for getting into tight spaces, for example to hold screws, collars, or other parts when placing them in hard to reach areas. 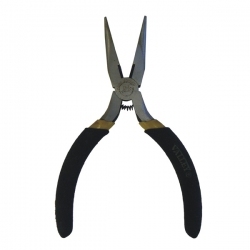 Spring handle makes these pliers easy to use, two-component rubber coated handles for a comfortable non-slip grip, precision machined from heat treated CR-V steel. Path: Home > Tools > Pliers & Cutters > Mini Long Nose Pliers, 4.5"